Accelerate performance and breathe new life into existing systems with a flexible and easy to use solution. 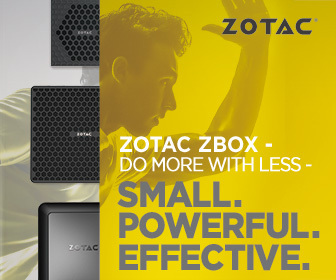 ZOTAC AMP BOX Mini is one of the smallest Thunderbolt™ 3 expansion boxes that offers any Thunderbolt 3 equipped Mini PC, Notebook, or Desktop PC an instant and powerful storage supplement with a fast NVMe PCIe SSD in place. More information can be found on Zotac’s website.